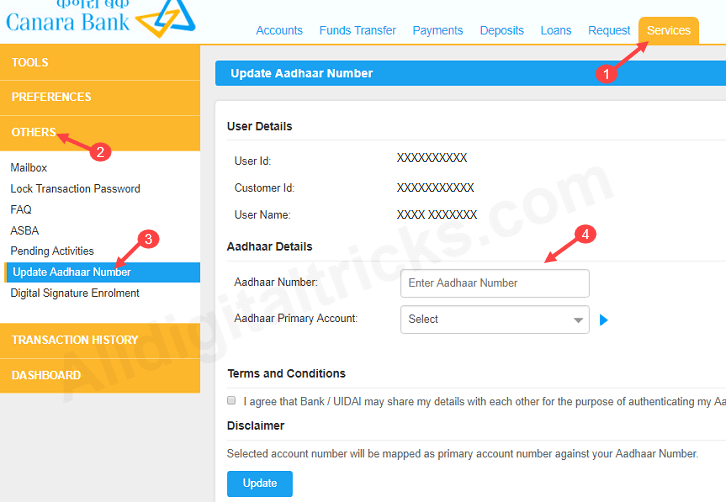 Here is step by step guide how to link aadhaar card with your Canara bank saving account online, without visiting branch. According government directives, it is mandatory to link Aadhaar and to your bank account before 31st march 2018. India’s one of the largest and old Canara Bank offers both online and offline facilities to its account holders for linking Aadhaar to their bank account. Canara bank customers can follow below online process and link aadhaar without visiting home branch. 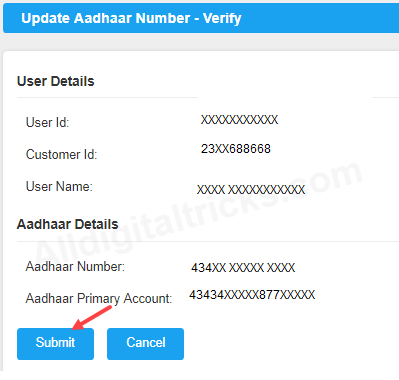 Now enter your 12-digit aadhaar number, select your account number and click on update. 3: In next screen confirm your request by clicking on Submit button. That’s it your request for aadhaar linking submitted successfully. The request will be processed and validated with UIDAI. You will receive an sms alert about aadhaar linking. You can also follow offline process to link aadhaar with bank account. Visit your bank and submit your aadhaar copy directly. So this is how Canara bank customers can link aadhaar with their bank account online through net banking. You need to complete this process before 31st march 2018.